ETP-HYLOC, due to its robust design, is ideally suited to work in difficult environments and heavy operations like steel rolling mills, process industry etc. An interesting application, among many, has been fastening of rolls to shafts. 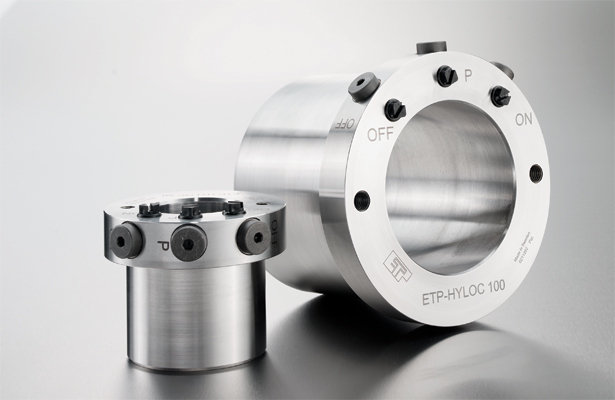 ETP-HYLOC is fast to mount, has good concentricity and can take high radial loads. 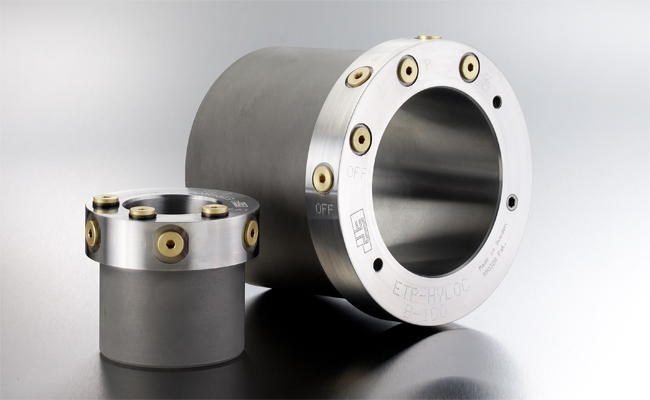 ETP-HYLOC is a hydromechanical joint, which consists of a double-walled steel sleeve, which encloses a conical moveable piston. In the flange there are three threaded connections (”ON”, ”P” and ”OFF”) in the radial direction and the same in the axial. This makes it possible to choose radial or axial connection of the hoses. Mounting and dismantling is carried out with a hydraulic pump with three hoses. When the piston is moved, by the hydraulic pressure from the pump, the double-walled sleeve expands uniformly against shaft and hub and forms a rigid joint. When dismantling, the piston is moved in the opposite direction and the joint will loosen. A small amount of oil will be taken via spiral tracks in the piston between the surfaces, in this way making it easier for the piston to move. High transmittable torque, which can be varied by changing the mounting pressure. Fast mounting/dismantling also in tight spaces. By using a pump the time is reduced to a minimum even for large sizes. 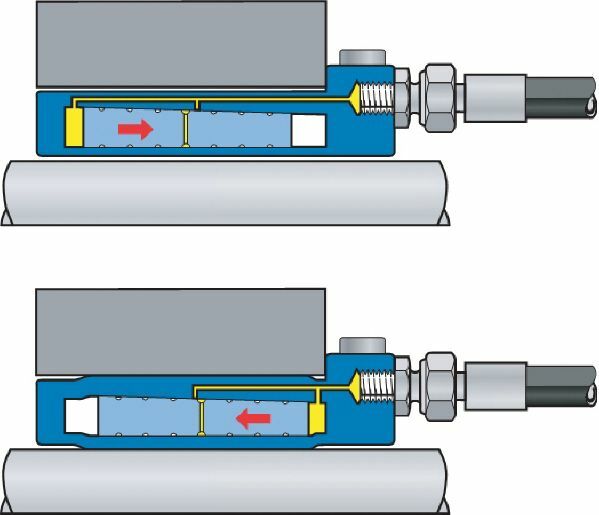 Radial or axial pressurizing is possible. Fine adjustments of the hub can be made when mounting. 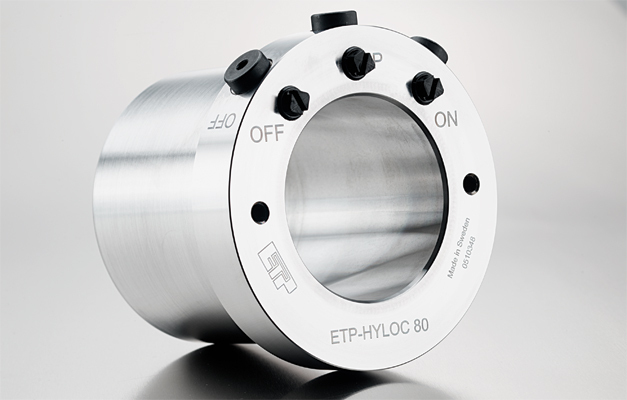 ETP-HYLOC, due to its robust design, is ideally suited to work in difficult environments and heavy operations like steel rolling mills and process industry!